Steven (Chicagoland, United States) on 25 April 2008 in Cityscape & Urban. Photo taken April 15, 2008. The colors are so vibrant and I like your composition. Stunning reds and great perspective! great red colour, nice shot. I love the composition and colours of this shot Steven, it must have been an awesome sight. @MaryB: Coming from the midwestern flatlands where the viaduct of a bridge is the highest point in town, it took a while to take in all this scenery. Whoa, looks like fresh paint! Super shot! @MadScientist: They actually were in the process of doing major repainting. I walked across the bridge and came across what looked like spray booths that must automatically descend the cable lines and coat the cables with the new paint during the boxes descent. It sure makes it quicker, easier and less life-threatening than if a man had to do it. a postcard picture! great capture! 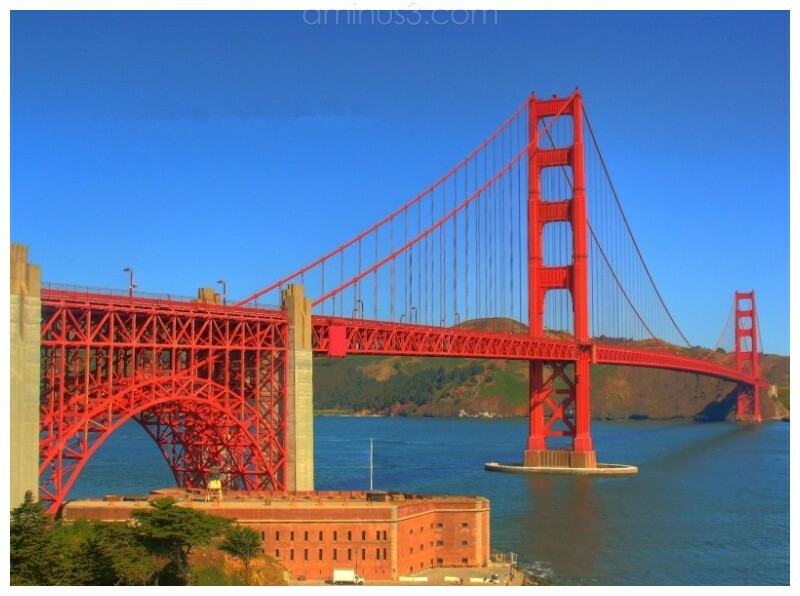 Nice angle and capture of the Golden Gate. I like the processing you used, it makes me think of an old fashioned postcard.